Zentangle is an art form that teaches you how to use relaxing strokes to create beautiful works of art. Sometimes you’ll see me referencing Zentangle as it has really taught me a lot about different techniques. 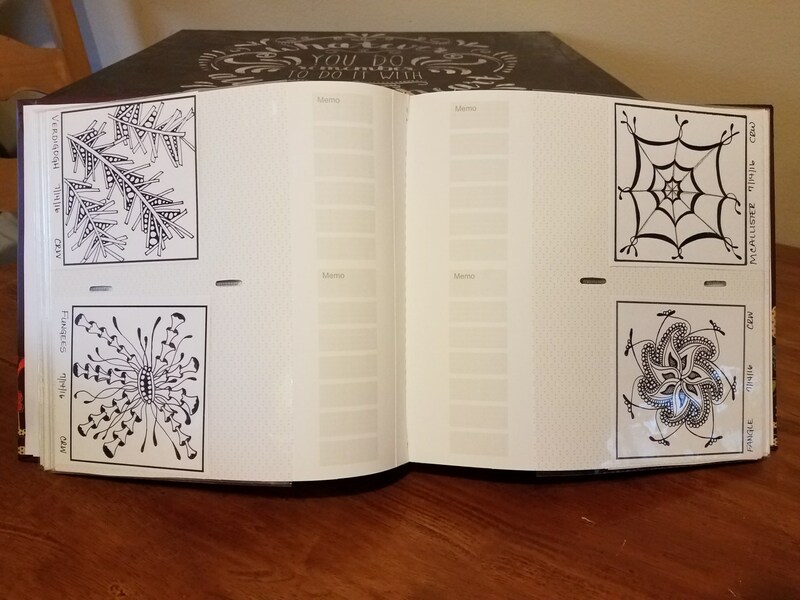 I store my Zentangle Patterns in a photo book I purchased for barely anything. It holds standard sized photos and its is perfect for what I need it for, which is a reference book. There are a vast amount of patterns and almost just as many sites that are designed to show you versions of each. One of my favorite websites, TanglePatterns is one of the most complete sites I have found for the patterns, short of buying a book, this is my go-to way to learn new patterns. I would greatly encourage all artists no matter what your skill to check out this wonderful method that is sweeping the world. Fall in love with each pattern the way I have. Have you heard of the Zentangle Method before? If you have, please tell me in the comments below which is your favorite and if you have found any sites specifically designed for this method. I look forward to learning more about you all!